HEART of Texas members with a current, valid Family ID card can enjoy any of following discounts/offers from the growing list of partners below. Our partners help us bring value to your membership. If your business or organization would like to partner with HEART of Texas, contact us for details. The Texas Home School Coalition (THSC) is offering a $15 discount for annual membership to HEART of Texas members. NEST Learning is giving HEART of Texas members a 10% discount! Follow the link here and enter code “TXHeart” to take advantage of this great offer. The Center for Home Education is offering HEART of Texas members 10% off all curriculum purchases at their book store in Watauga. PLUS, HEART of Texas members may attend and bring a friend for FREE to any of our ‘New to Homeschool Workshops’. Christian Educators Resource Center (CERC) is offering HEART of Texas members a 15% discount on any materials that are in stock. 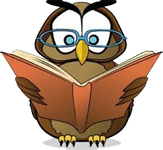 Home Educators Resource is offering 10% off new and used books to HEART of Texas members. Plus, members will still earn punches on their HER Buyer's Card. 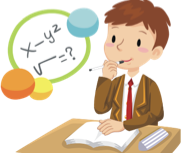 College Prep Genius is currently offering HEART of Texas members a $5 discount on any product. The Old Schoolhouse Magazine is offering HEART of Texas members a $5 discount on new subscriptions or renewals. Use coupon code HEARTOFTX5. Glorietta Camps is offering HEART of Texas members a 10% discount on all Wilderness Programs, including Gap Years (Walkabout and Guide Semester). Lewisville Lake Environmental Learning Area is offering HEART of Texas members a $1 per child discount on Home School Natural Science Classes for 2nd--8th grade students. 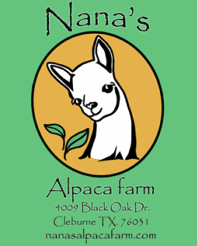 Nana’s Alpaca Farm is offering HEART of Texas members a 15% discount in their store. HEART of Texas members get an exclusive discount! $20 per adult (12 years and older) and $10 per child (ages 3-11)! 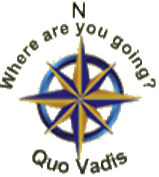 a fabulous affordable family vacation with a spiritual emphasis... breath-taking scenery, luxurious lodges, really great food (not camp food) and activities for all ages. It's a time to spend quality time together and make memories that will last a lifetime. 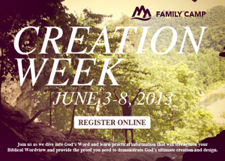 What do we do at Family Camp? Days are free for a variety of activities like swimming, river tubing, fishing, hiking on trails in 460 acres of natural Ozark Mountain forest, volleyball, basketball, frisbee golf, horseback riding, paintball, laser tag, high ropes, cliffhanger, canoeing the Buffalo River, sightseeing at the Blanchard Springs Caverns or... how about relaxing on the porch in a rocking chair with a cup of coffee and enjoying the view? Watch our Activity Video: SOTO Activities Video No cooking for Mom! Meals always get rave reviews. After dinner we gather for a Spiritual time with Praise and Worship music and time in the Word with our Speaker. There’s a Kids Program for kids ages 5-10, a Nursery for babies/toddlers, and Play Time for kids 3-4. The evening is topped off with an activity like Game Night; Dance Night (Square Dancing, the YMCA and Chicken Dance to name a few); Skit Night; and Family Communion around a camp fire. There’s always quality fellowship in the lodges as the evening winds down and the kids head for bed… time to connect with old and new friends. Team Family Farms - Located in Aubrey, Texas, Team Family Farms offers Educational Family Farm field trips, birthday parties, group events, and classes. HEART of Texas members with a current membership receive a $1 discount off admission. The Old Red Museum of Dallas County History and Culture is offering HEART of Texas members (with valid Family ID) a $1.00 discount per person/ticket. Discount may not be used for the Home School Workshops. Zooniversity will be offering HEART of Texas members $10 off any Zoo School tuition. Visit the website for details and schedule. 316 BJJ is a Christian organization designed to help people train their mind, bodies, and spirits in a safe environment. Our goal is to provide a safe environment for everyone to learn self-defense and to increase their skill as a Brazilian Jiu-Jitsu student. 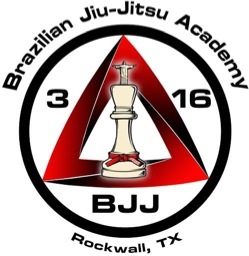 3166 BJJ offers a 20% discount for our active card holders. AquaKids - AquaKids Swim School, located in Flower Mound and Keller, provides year-round swim lessons beginning at 6 months of age. 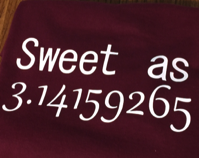 In addition, they provide Swim Team, Open Swim, and private birthday parties. AquaKids is offering an exclusive $30 per session discount for HEART of Texas families. 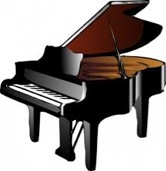 This discount is available for Group, Private, or Semi-Private Lessons, or Private birthday parties. Best Gymnastics is offering current Heart of Texas members with a valid ID card a 15% discount on all of our recreational gymnastics classes. Gymnastics is the best sport available to create young athletes and proper athletic foundations for all future sporting endeavors. 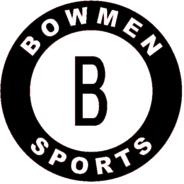 Bowmen Sports is very pleased to offer Heart of Texas Members a $5 discount off monthly class fees. Some classes are also eligible to combine for an additional sibling discount ask at registration. The Fencing Institute of Texas (FIT) is offering HEART of Texas members a $10 discount off the monthly tuition, individual or family. Members participating in the FIT Saturday Page or Squire programs receive a $5 discount off the monthly program fee. Lantana Golf Club is offering three separate golf programs for juniors, age 8-17, in 2015. Each program (winter, spring, etc.) will provide weekly clinics over a period of several weeks. HEART of Texas members with a valid ID card will receive a 10% discount. Participants will receive instruction on full swing, short game (chip, pitch, putting) and bunker play. Participants will also receive a basic introduction to the rules & etiquette of golf and the opportunity for quality time on course. For more information, contact Marc Brooks, voted 'Best Golf Instructor in Denton County 2012', at 940-728-4653, ext. 308 or email mbrooks@lantanagolf.com. Winter 2015 form is available here. Life~Line CPR & First Aid is offering Heart of Texas members $20.00 off the normal price of $50.00 for CPR classes. Price does not include certification cards, which can be purchased for a nominal fee. To take advantage of this offer, contact Kim at caliicodrmr@aol.com, jboler02@aol.com or 972-837-7715. Pump It Up of Grapevine, TX is offering HEART of Texas members a 10% discount on private parties. Members also get $1 off Pop-In-Playtime on Wednesdays and Thursdays between 10 a.m. and 1 p.m. for ages 2 through 6, and on Wednesdays from 3:30 p.m. to 5:30 for ages 6-12. Ride with Pride Inc. is proud to offer a 10% discount on tuition to all HEART of Texas members with a current membership. Ride With Pride Inc. Horsemanship School specializes in teaching students ages 3 & older how to care for and ride a horse safely Western or English Style and has been providing lessons since 1980. The Stunt Gym will give a 10% discount on classes for 3 months for HEART of Texas members. The Stunt Gym is a Christian gymnastics school that disciplines all students to train skills that develop strength and flexibility and also builds character for the body, soul and spirit. T.A.C.A. has decided to field a team and you won't believe it until you read about it. It's a "No-catch" offer that they might not see again. What normally costs $750-$800 is being offered for $100.00! We're a Christ Centered group organized to use athletics as an opportunity to spread the Gospel of Jesus. TACA is offering HEART of Texas members a $25 discount, bringing the cost down to an unbelievable $75! Training for Confidence is offering HEART of Texas members a 25% discount off the monthly student membership fee, with a current Heart of Texas family membership card. The mission of Training for Confidence is to provide young people with the behavioral skills and self confidence necessary to make appropriate choices at home, in school, and in the community. Turbo Techniques - Turbo Techniques provides a physical education class that is an hour long and focuses on enhancing speed, power, agility, core development, and balance. HEART of Texas card holders receive a 20% discount! Elegant Country. . . outside and in! Weddings are special days, but we feel they should be elegant, unique, and affordable… amid nature and antiques, a true mix of casual and traditional! Our country-French, just under 5,000 square foot Chateau, is situated on 76 acres of farmland peppered with trees, fields, creeks and bridges. 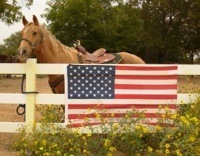 We are located in Anna, TX, just north of McKinney, TX. 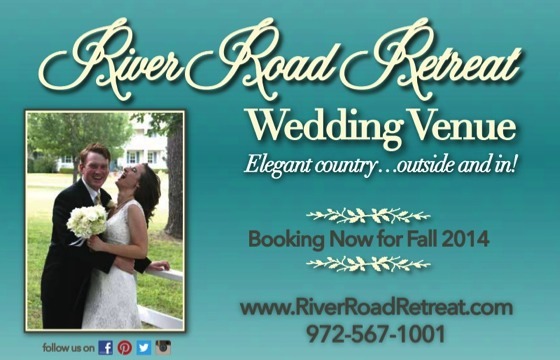 We would be honored to show you the simple, romantic possibilities River Road Chateau has to offer. We treat you as family with all newly weds taking home a jar of homemade jam, grown and canned from the orchard trees of the place you were married! Come and experience an amazing wedding! "Hospitality has always been an important part of our home from classes, hayrides, campouts, church picnics, to fireworks shows. Though we may open a wedding venue up for business, we do not ever want you to forget, you are first a guest in our home."